Oct25 Comments Off on Order a Signed Copy of America’s First Daughter! Order a Signed Copy of America’s First Daughter! Hi everyone – Just a quick note to let you know that Laura will be appearing at Nora Roberts’s Turn the Page Bookstore in Boonsboro, MD on October 28. She’d love to see you there, but if you can’t attend, please consider ordering a signed or personalized copy of the book before October 27. 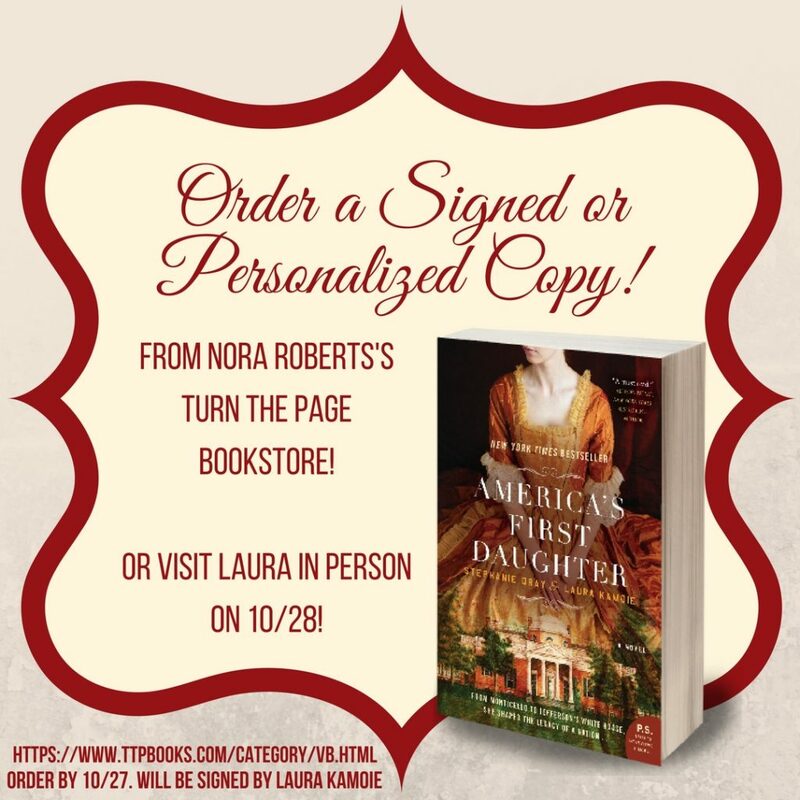 Laura would love to sign one for you – and they make great gifts, too! ← America’s First Daughter is $1.99!